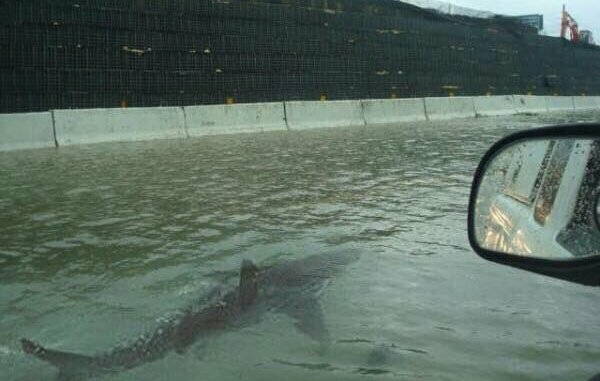 Photo shows a shark swimming on a freeway in Houston. By Joshua Gillin on Monday, August 28th, 2017 at 5:15 p.m.
A faked photo allegedly from a flooded street in Houston has been used online since 2011. A viral photo being spread online in the wake of Hurricane Harvey of a shark swimming down a Houston street is actually a hoax that has been passed around for years. "Believe it or not, this is a shark on the freeway in Houston, Texas. #HurricaneHarvy," read a tweet from @Jeggit on Aug. 28, 2017. The photo appeared to show a shark swimming in the street, as shown from the driver’s seat of a vehicle. As of this writing, the image had been liked more than 36,000 times and retweeted more than 28,000 times. But it’s a fake image, which appeared to have been first circulated at least as far back as 2011. The photo turned up after Hurricane Irene struck Puerto Rico. It linked to an Aug. 25, 2011, photo on imgur.com showing the big fish swimming alongside what looks like an SUV. Then it came back in 2012, with social media users claiming it was taken in New Jersey during Hurricane Sandy. In 2015, this very same shark had already been spotted in Houston after severe floods. Then it somehow swam to North Myrtle Beach, S.C., after Hurricane Joaquin later in 2015. So where did this really come from? 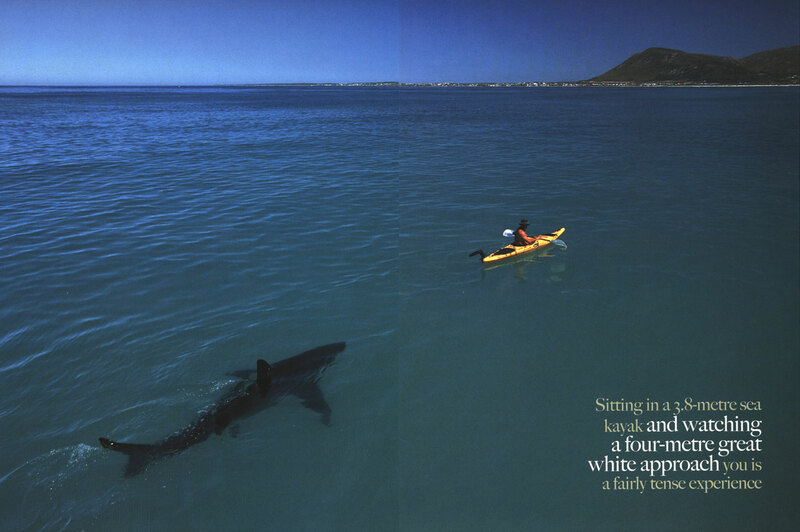 The PhotoShopped image appeared to have taken the shark from a photo that ran in Africa Geographic in 2005. That picture showed a great white shark swimming behind a kayak, and folks on Reddit noticed the similarities back in 2011. Don’t believe this fish tale, because it’s a hoax that has been luring people for years. 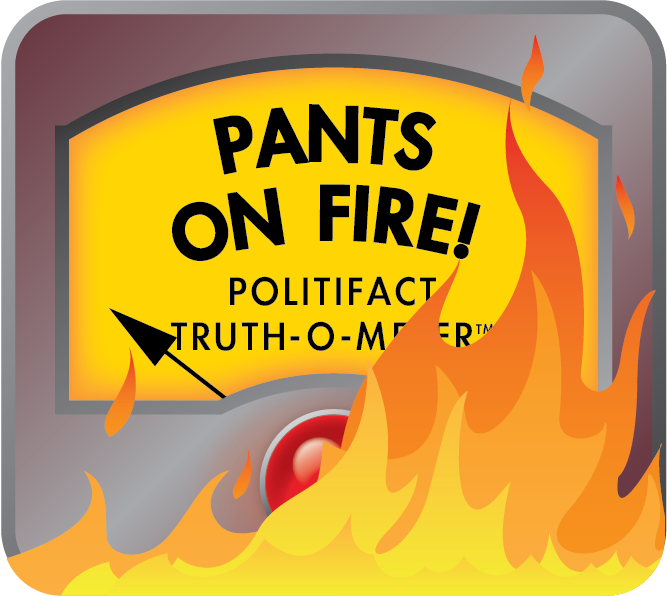 We rate it Pants On Fire! Published: Monday, August 28th, 2017 at 5:15 p.m.